A recent study led by Dr. Shawn Aaron shows that over 30% of Canadians may have been incorrectly diagnosed with asthma. While some patients may have experienced a remission since their diagnosis, there are concerns in both the scientific and patient communities that asthma diagnoses are often made without proper testing. Likewise, a significant percentage of Canadians also live with undiagnosed asthma. Dr. Shawn Aaron led a team of researchers to investigate this issue. Don’t miss the opportunity to hear Dr. Aaron address the issue of misdiagnosis of asthma in Canada and offer advice about the steps you can take to ensure a correct diagnosis from your healthcare provider. After the presentation, you will have the opportunity to ask your most pressing questions to our guest speaker, Dr. Shawn Aaron, MD, FRCPC, a respirologist with special research and clinical interests in asthma, COPD, and cystic fibrosis. 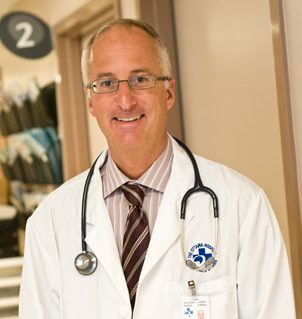 Dr. Aaron has many significant achievements in asthma-related research over the course of his distinguished career, and was presented with the 2017 Asthma Canada Lead Investigator Award for his research in the misdiagnosis of asthma and the prevalence and economic/health burden of undiagnosed airflow obstruction in Canadian communities. Common reasons for the misdiagnosis of asthma in Canada. What can be done to address the issue of misdiagnosis? How should asthma be assessed and diagnosed? What you can do to ensure a correct diagnosis from your healthcare provider? Register for our FREE webinar by clicking the button below. Dr. Shawn Aaron is a Professor in The Department of Medicine, University of Ottawa and a Senior Scientist at the Ottawa Hospital Research Institute. He is a respirologist with special research and clinical interests in chronic obstructive pulmonary disease (COPD), asthma and cystic fibrosis (CF). Dr. Aaron’s research has focused on clinical and health services research related to the correct diagnosis and treatment of obstructive lung diseases (asthma and COPD) in Canadian communities. Dr. Aaron is Principal Investigator and Director of The Canadian Respiratory Research Network, a CIHR Emerging Research Network whose goal is to bring together researchers across disciplines to work together in a coordinated fashion in order to improve understanding of the origins and progression of asthma and COPD in Canada.